Small Builders offers a training session on how the portal works. 1. 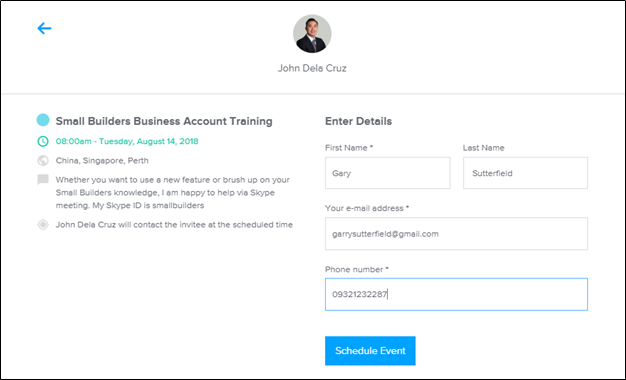 Click on the I Want Training button on the lower left corner of your portal. 2. Select your preferred date by clicking on one of the available dates. 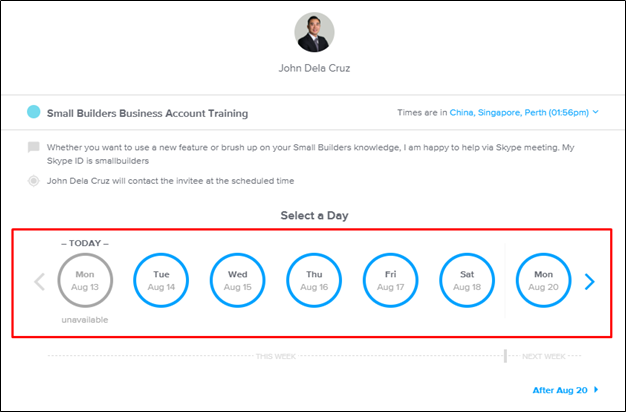 Available dates are in blue color while the unavailable dates are in gray color. If you prefer a later date, just click on the arrow on the right side. 3. Click the location and time to change your preferred time zone. 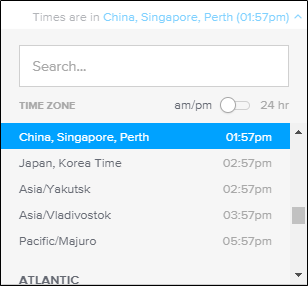 You can select a time zone by searching through the search bar or by browsing through scrolling. 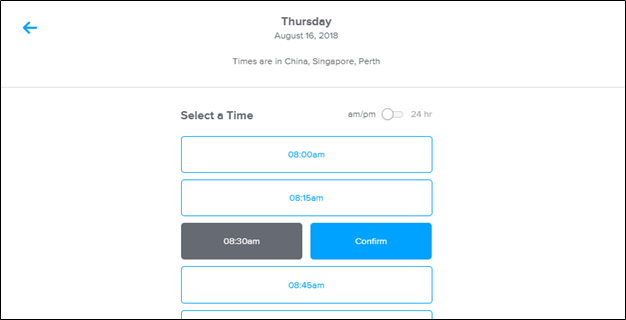 Click on the sliding button to change standard am/pm time into military 24-hr time and vice versa. 4. Select a time. Click Confirm to proceed. 5. You can see your schedule summary on the left. Enter your details. Click Schedule Event.